sandstone towers, and the clear desert sky encircle your classroom. 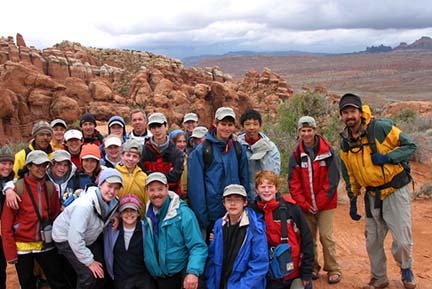 Canyonlands Field Institute (CFI) has been teaching outdoor education in Moab, Utah since 1984. It has gained a reputation as one of the finest nonprofit outdoor education schools in the country. CFI offers experiential learning programs on land and river for a wide variety of organizations including; schools, colleges, scouts, churches, and other organized groups. Programs meet or exceed requirements for national and state science guidelines to ensure continuity between your classroom and our field programs. Our multi-disciplinary approach ensures a fun and inspiring hands-on learning experience. Students and teachers alike leave our program inspired and encouraged, with a fresh vision of the complexity of our environmental and human systems, and with a deeper connection with each other. Participation in safe, active, meaningful, and transformative outdoor experiences. Building skills and confidence through fun challenges. Relevant, interdisciplinary hands-on curriculum that teaches science, history, literature, and art activities in an outdoor setting. An experienced teaching staff of naturalists and river guides that are caring, competent, and fun to be with - they are great role models for kids! Opening worlds to natural resource career opportunities. Increasingly rare opportunities to experience deep silence and brilliant night skies. Time to "be a kid" in nature away from civilization. The unequaled beauty of Utah’s high desert. CFI’s River Programs offer a wide range of possibilities for your school or youth organization, at every age from elementary through college, from single-day to multi-day options. Our river curriculum offers hands-on science, river skills, and learning about connections between students and the environment. CFI River Guides and Instructors are strong teachers and naturalists, college educated, trained in the natural and cultural history of the Colorado Plateau, and are Utah licensed guides. Additionally, our guides and instructors are certified in wilderness first aid and CPR. CFI’s back yard has a lot to offer student and youth groups visiting the area. If you’re passing through or conducting your own program, set up a day excursion with CFI for an insider’s experience to the region. We offer day hikes and river trips enriched with learning as well as fun and adventure! 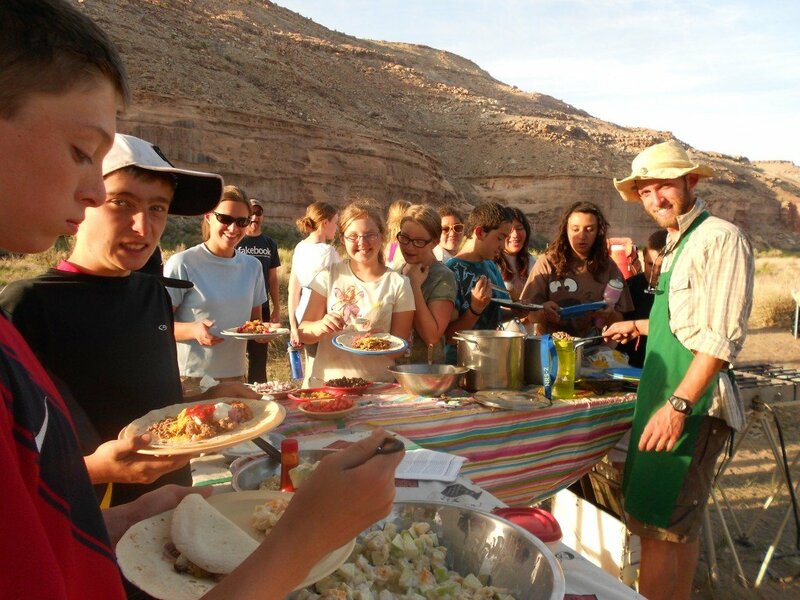 Professor Valley Field Camp is located in a breathtaking setting just 20 miles from Moab and Arches National Park and only minutes from the Colorado River. 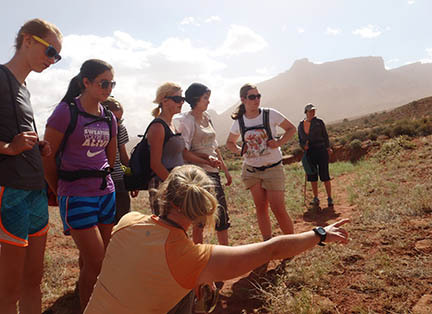 The combination of red rock cliffs, the perennial stream and spectacular views of the La Sal Mountains, and majestic red rock formations make Professor Valley an ideal location for spring and fall field studies. If you are you planning a short visit to the area, or have enough time to experience TWO great programs, try our popular Field Camp and River Combo Program. Our Field Camp and River Combo Programs make for an unforgettable adventure whether you have either 2 nights or 5 nights to spend in the area. Both programs offer Canyon's Edge AND Watersheds curriculum with a focus on riparian ecology. Your students will experience a fun, active, and meaningful river education adventure and leave refreshed and inspired. Our Instructors and Teachers agree — this is our best program! CFI has experience with schools! For the last 30 years, we’ve taken school groups large and small to destinations all across the Colorado Plateau conducting outdoor education experiences that last a lifetime. Get in touch with us today about your wants, needs, ideas, and let us help you plan a trip your group will take home with them.